The battles women fight everyday — for equal access to education, pay, and health care — would become conquerable if their rights were protected by the Constitution. The people of Louisiana have the opportunity to have their voices heard and play a part in the making of herstory to ratify the Equal Rights Amendment (ERA). As of today, Louisiana presents an opportunity for supporters and advocates of the ERA to be the last state needed to ratify the Amendment, whether it be through connecting with their state legislators, participating in demonstrations, or raising awareness through social media. The last time the Louisiana Senate passed the ERA was on June 7, 1972, but it was not passed by the Louisiana House of Representatives. The Louisiana House and Senate are next in session on April 4, 2019- let’s get it voted on THIS LEGISLATIVE SESSION!. The next election for state-level offices will take place on November 16, 2019. Following the March 22, 1972 passage of the Equal Rights Amendment by the U.S. Congress, both supporters and opponents of the ERA organized in Louisiana. The first coalition dedicated to supporting the ratification of the Amendment was formed in May 1972, consisting of the Black Women’s Caucus and chapters of the League of Women Voters based in the parishes of Orleans and Jefferson. In 1973, Governor Edwin Edwards supported the Amendment and advised ERA supporters as to how it could be passed. The League of Women Voters of Louisiana and the National Organization for Women sent letters to U.S. Congresswoman Lindy Boggs appealing to her to convince the Louisiana legislature to approve of the ERA. However, Congresswoman Boggs was a supporter of states’ rights and did not openly advocate for the ERA when the legislature rejected the Amendment in 1975. The ERA had a number of dedicated supporters in Louisiana. One of the most important legislative allies of the Amendment was Dorothy Mae Taylor, the first African-American woman to serve in the Louisiana House of Representatives. Taylor had been involved in the Civil Rights Movement since the 1950s, successfully leading efforts to desegregate New Orleans’s public school system and the city’s recreational facilities. Another legislator who supported the ERA was Diana Bajoie, who was elected to the Louisiana House in 1976. The ERA had a multitude of supporters outside of the legislature as well. Fran Bussie was the president of ERA United during the 1970s and was the wife of Victor Bussie, leader of the Louisiana AFL-CIO. The statewide AFL-CIO was supportive towards the cause of the ERA, providing space for New Orleans-based ERA Central and advocating for women working alongside men. Bussie also served on President Jimmy Carter’s task force to pass the ERA. Clay Latimer was a member of the New Orleans chapter of NOW and cofounded ERA Central, a pro-ERA group based in the city. Latimer, who was also an attorney, directed a grant program entitled “The Legal Status of Women in Louisiana”. This program focused on educating Louisianan women about the state law’s “Head and Master” provision, which indicated that husbands would have control over a couple’s community property. Because of the activism of Latimer and others, the “Head and Master” provision was replaced with a system providing for equal management in 1980. ERA opponents included the other woman representing Louisiana in the House of Representatives during the early 1970s, Louise Johnson, who was a fervent ERA opponent. Johnson connected with female ERA opponents through an organization called Females Opposed to Equality. When asked about her opposition to the Amendment, Johnson stated that “There are only three groups that stand to profit by passage of this amendment—the prostitutes, the homosexuals, and the lesbians.” Johnson’s message as well as her organizing of anti-ERA women, including the wives of male legislators, were effective in deterring the progress of the ERA in Louisiana throughout the 1970s. Two more organizations opposing the ERA in Louisiana were the Woman’s Auxiliary of the Chamber of Commerce and Louisiana Women Opposed to the ERA. Another organization opposing the ERA in Louisiana was the Pelican State’s chapter of the Catholic Daughters of America. The Catholic Daughters of America’s National Board came out in fervent opposition to the Equal Rights Amendment in March 1975. Two months later, in May of that year, the Louisiana chapter of CDA officially opposed the Amendment with a statement from the CDA’s state regent, Barbara Songy, denouncing the ERA. 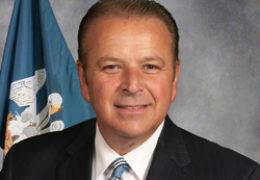 Songy described the Amendment as “a threat, not a support, to women’s rights”. The CDA supported Phyllis Schlafly’s campaign against the Amendment and invited her to speak at their convention in March 1976. The Archdiocesan Council of Catholic Women, another Catholic organization in Louisiana, opposed the Amendment. ERA supporters attempted to pass the Amendment throughout the decade, to no avail. On July 3, 1982, following a musical tradition in New Orleans, ERA supporters organized a jazz funeral for the Amendment, marching through the city’s downtown. Between 1997 and 2007, no bills were introduced proposing to ratify the ERA in the Pelican State. On April 18, 2007, Representative Monica Walker (D Hessmer) prefiled HCR 4 in the Louisiana House of Representatives, a bill ratifying the ERA. HCR 4 first appeared in the Interim Calendar two days later on April 20, 2007, and on April 30, 2007 it was referred to the Committee on Civil Law and Procedure. The Committee considered the bill on May 15, 2007, but did not progress beyond the Committee. 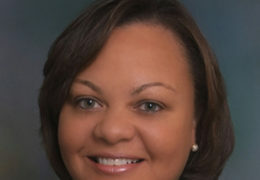 On April 28, 2009, Senator Yvonne Dorsey (D-Baton Rouge) introduced SCR 7 in the Louisiana Senate, ratifying the ERA. The bill was read twice and referred to the Senate Committee on Senate and Governmental Affairs. On June 3, 2009, SCR 7 was considered but was voted down by a margin of 3 to 2. Senators Edwin Murray (D-New Orleans) and Lydia Jackson (D Shreveport) voted in favor while Senators Mike Walsworth (R- West Monroe), Jody Amedee (D Gonzales), and Jack Donahue (RCovington) voted against the ratification bill. Two other Senators on the Committee did not participate in the voting: Senator John Smith (D-Leesville) was absent, while the chairman of the Committee, Senator Bob Kostelka (R-Monroe), did not vote on the measure. 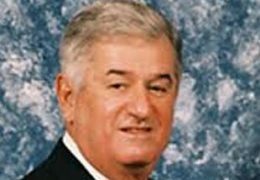 On April 24, 2017, Senator Dorsey, now Senator Colomb, introduced SCR 45 in the Louisiana House of Representatives, a bill memorializing Congress to extend or eliminate the time limit on the ERA. On May 31, 2017, the bill was reported with amendments. A day later on June 1, 2017, the Senate Committee amendments were read and adopted, having been approved by the Committee. That same day, SCR 45 moved to the Senate floor read by title and returned to the Calendar, subject to call, the last action of the session. 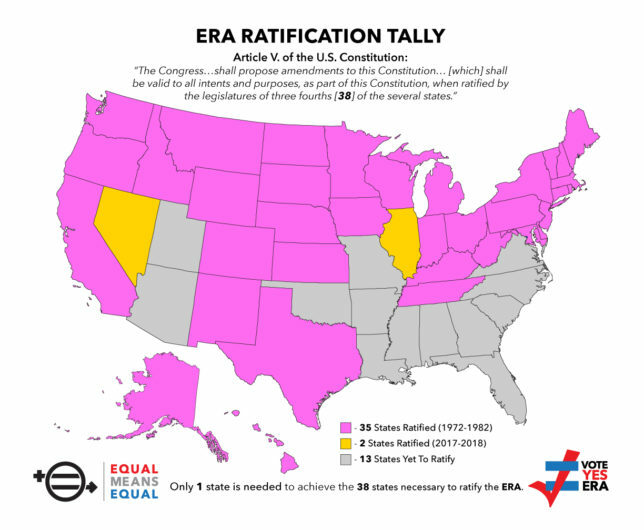 As of today, Louisiana has not ratified the Equal Rights Amendment. Please call your State Senators and Representatives and encourage them to support the ratification of the ERA in Louisiana. 72% of Americans won’t join the fight for equal rights because they think the Constitution already guarantees them. We need your help to actually achieve that goal by adding the Equal Rights Amendment to the Constitution. Join our movement. Organize an Equal Means Equal event. Spread the word. We can get this done. The best way to get involved? 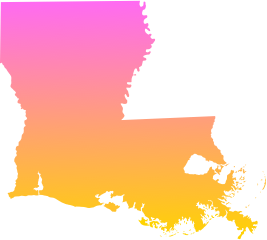 Join Equal Means Equal in Louisiana to stay on top of the latest news and actions. Join the dozens of women’s organizations and thousands of women using the EQUAL MEANS EQUAL documentary film to reinvigorate the fight for the Equal Rights Amendment! Host a screening in your neighborhood and help get the conversation going about the importance of the ERA. Click the button below to organize a screening in your community. Democracy is a team sport. Let your ladies know our time is now. Call your reps. These are the decision makers in Louisiana — the people who hold the power to call for a vote and pass it through. Tell them you want the ERA today — use this sample script or tell your own story. 36 wins! Thanks to these states for protecting the rights of Americans and fighting to usher in a new ERA.